In Strickland County—a forgotten stretch of land in Southern Appalachia—there isn’t a lot of anything to go around. 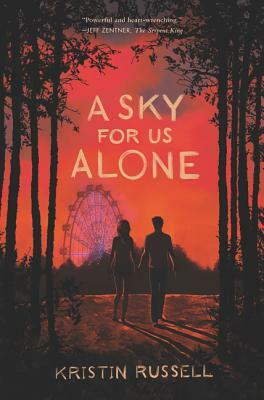 But when eighteen-year-old Harlowe Compton’s brother is killed by the Praters—the family who controls everything, from the mines to the law to the opioid trade—he wonders if the future will ever hold more than loss. Until he meets Tennessee Moore. Even as she struggles with the worst of the cards she’s been dealt, Tennessee makes Harlowe believe that they can dare to forge their own path. But as Harlowe searches for the answers behind his brother’s death, his town’s decay, and his family’s dysfunction, he discovers truths about the people he loves—and himself—that are darker than he ever expected. Now, Harlowe realizes, there’s no turning back. Kristin Russell grew up in Nashville, Tennessee. She has worked as a hairstylist for the last seventeen years and began writing fiction in the break rooms of salons between client appointments. Steeped in Nashville’s music industry from an early age, Kristin is inspired by well-wrought lyrics and aims to bring the same craft to her fiction. She lives in Nashville with her son, Finn. You can follow her on Twitter @kristinrussell_.